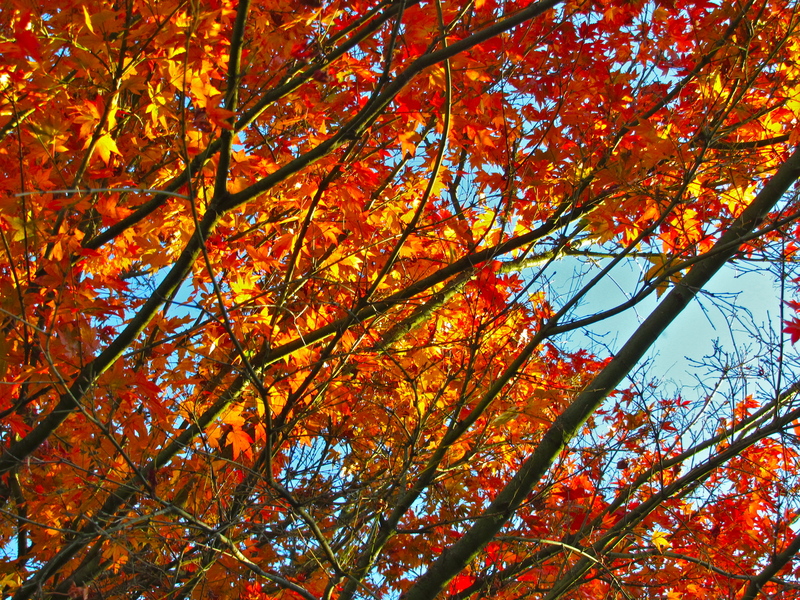 I just love, love, LOVE walking in Australia on cool, crisp autumn days. What’s not to like – you don’t get hot, you don’t have to carry gallons of water and you don’t have to worry about stepping on the slithery ones. Today Deb, co-author Indie-the-Dog and I headed for the Dandenongs – only 40 minutes from Melbourne’s city centre but a million miles away in terms of peace and beauty. 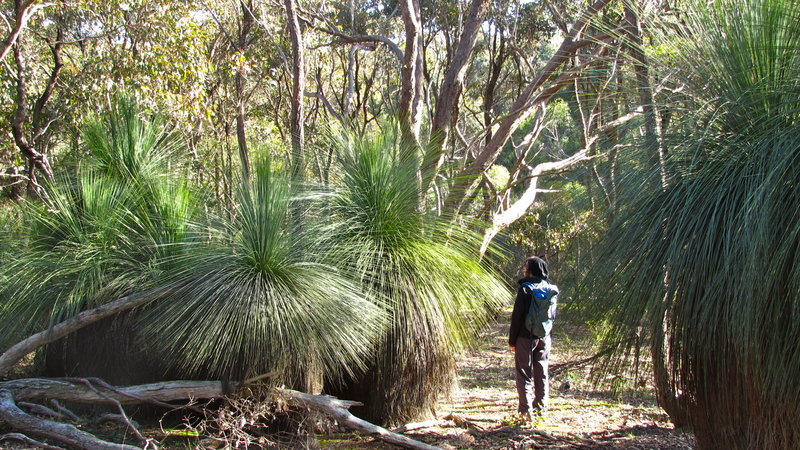 We did the 14km return trail walk from the beautiful hill town of Emerald to Cockatoo and back, taking in the spectacular autumn leaf beauty of Nobilis Gardens and Emerald Lake Park and the towering eucalyptus and colourful funghii of Wrights Forest. For a shorter walk you could always take the bus back from Cockatoo (though not with a dog), but we were glad of the return walk, as the weather only got better as we went along, and the late afternoon rays through the Japanese maples were breathtaking. 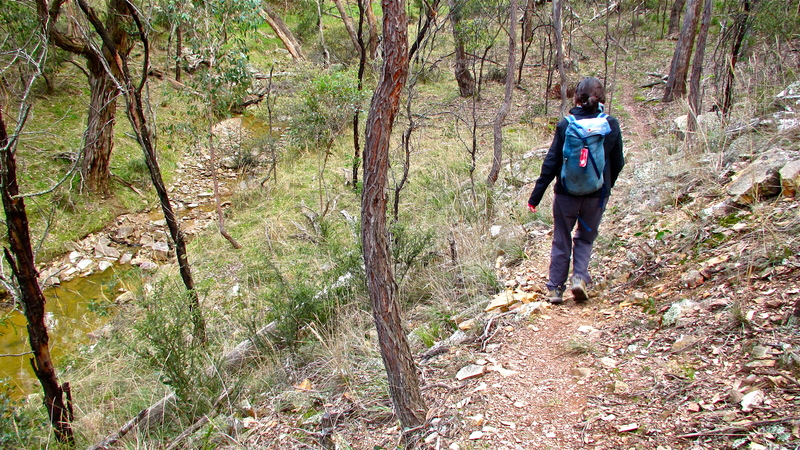 A fantastic bush walk with a dog, as there is an off-leash park at either end, though dogs must be on lead for the rest of it. If you do the walk without a dog on weekends and school holidays, you can take a load off and catch the Puffing Billy steam train back from Cockatoo at 3pm. It’s been quite a while since I’ve had a chance to post my latest walks, as I’ve been doing a lot of travel for my day job this year: Mozambique, Ghana, Kenya, South Africa and Timor Leste – but not a spare moment for walking in each of these incredible destinations. Grrr! This week though, I did manage to get up to the Grampians (Gariwerd) National Park, in Victoria’s west, where I hadn’t been for 10 years. Stupid me for taking so long to get back here – I had forgotten about the extraordinary rock formations and abundant wildlife, and frankly terrific walking, especially in the crisp, clear autumn weather. And all this just an easy 3.5 hour drive from Melbourne. 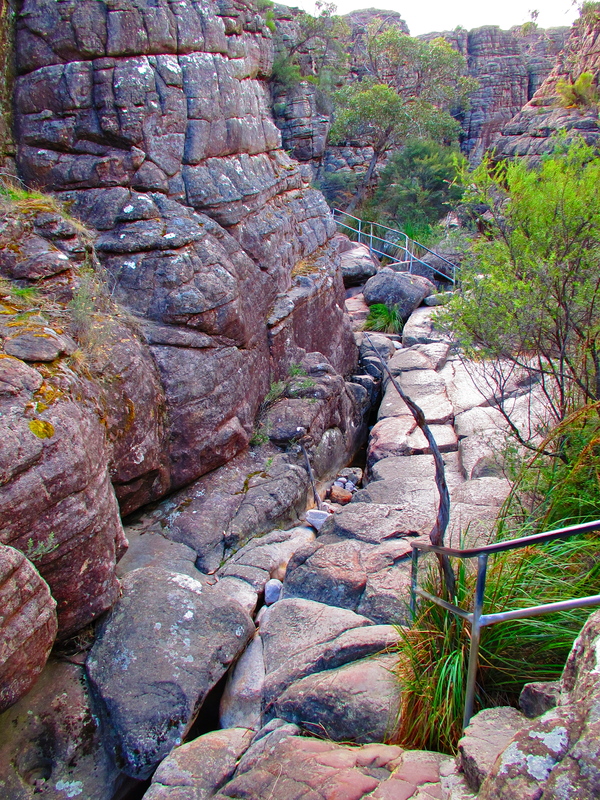 The Wonderland area, just outside of the main centre of Halls Gap, has got to represent some of the most interesting walking in Victoria – the walk through ‘The Grand Canyon’, while nowhere near on the scale of its famous American counterpart, is nonetheless spectacular. There is a short 1km loop route absolutely perfect for kids, who will just love it, leaping over rocks and scrambling beneath under hangs. You could spend days just exploring this area, and there are good walks brochures for sale in the town which outline a dozen or so walks of various lengths and difficulty. 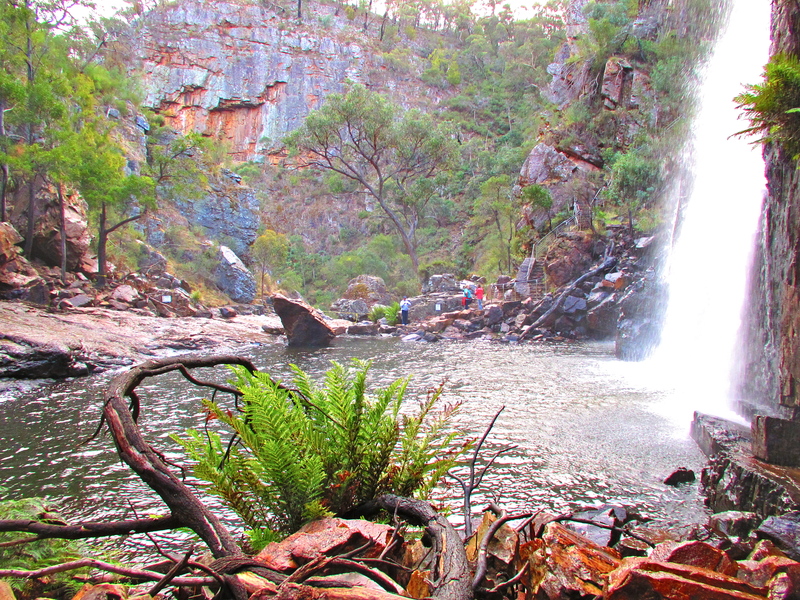 Another beautiful area, further along the Mt Victory Road, past the lookout of The Balconies, is MacKenzies Falls. Take your knees along for the walk, which takes in 250+ steps on the way down the gorge to the base of these spectacular year-round falls, which must be 30m high and then some. I love how there is an entirely independent weather system at the base of waterfalls, with wind gushing from its base even on the stillest days. Parks Victoria are still working to restore major track damage along the gorge left from the 2012 floods, so beyond the waterfall is still closed as helicopters fly in the materials to restore the tracks. The other bonus of the area is the wildlife – in Halls Gap itself there are kangaroos literally bouncing down the main street, and you have to drive slowly everywhere you go to avoid all the pretty black wallabies. Over breakfast in the morning, I was also visited by a rowdy flock of cockatoos checking me out. Could have stayed for weeks. 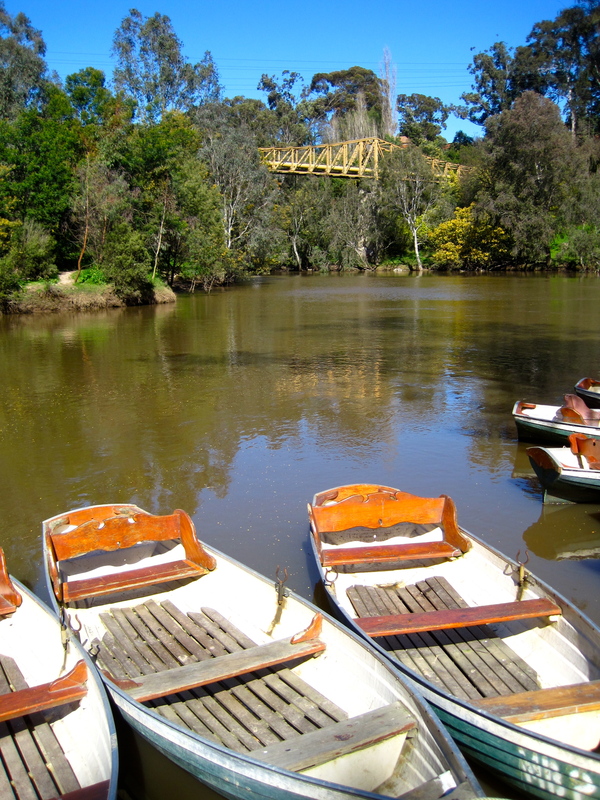 There were once 7 historic boathouses lining the banks of the Yarra River – popular in Melbourne’s Victorian and Edwardian eras, when people took their pleasure most seriously with days out for genteel boating and cream teas by the river. There are still two magnificent boathouses left on the Yarra today, and even more pleasingly, they are surrounded by wonderful riverside walks along this beautiful green corridor through the heart of Melbourne. In some parts of Yarra Bend and Fairfield Parks you can feel a hundred miles from the city, surrounded by remnant river gums, native grasslands and beautiful escarpments, though the hum of traffic is always in the background. Probably the best way to take it all in is to take the riverside walk all the way from Fairfield Park Boathouse to Studley Park Boathouse, some 10 kilometres away, crossing the pipe bridge in front of Fairfield Boathouse and turning right beside the river to walk beneath the Eastern Freeway overpass, past the beautiful Bellbird Picnic area and around Yarra Bend to end up at Studley Park Boathouse. 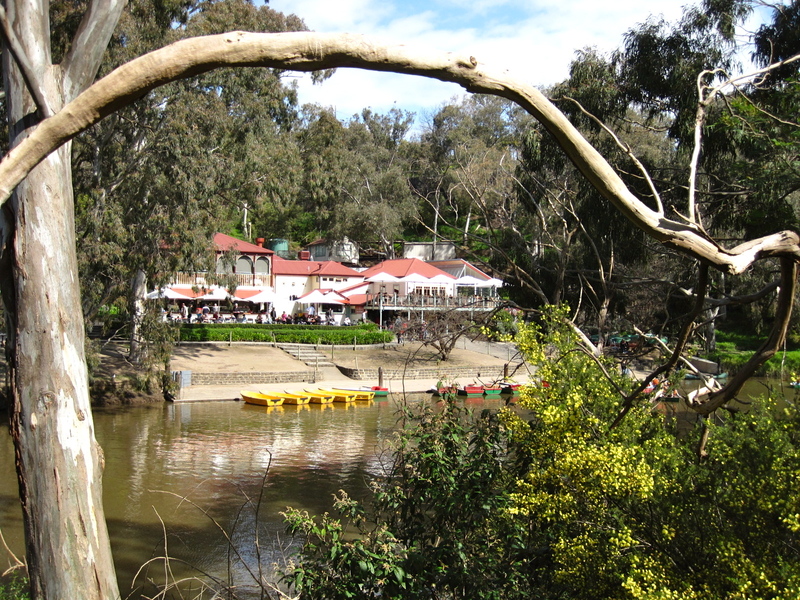 Public transport isn’t great here, so either do it as a return walk (20km) or a full day circuit by crossing the river again at Studley Park boathouse and continuing left along the river, turning right at Dight Falls to follow alongside Merri Creek, and right again to follow the main Yarra Trail back towards the Pipe Bridge and boathouse. Alternatively, arrange for a car shuttle, but make sure you include time for a bit of boating on the river and definitely a cream tea at either end! 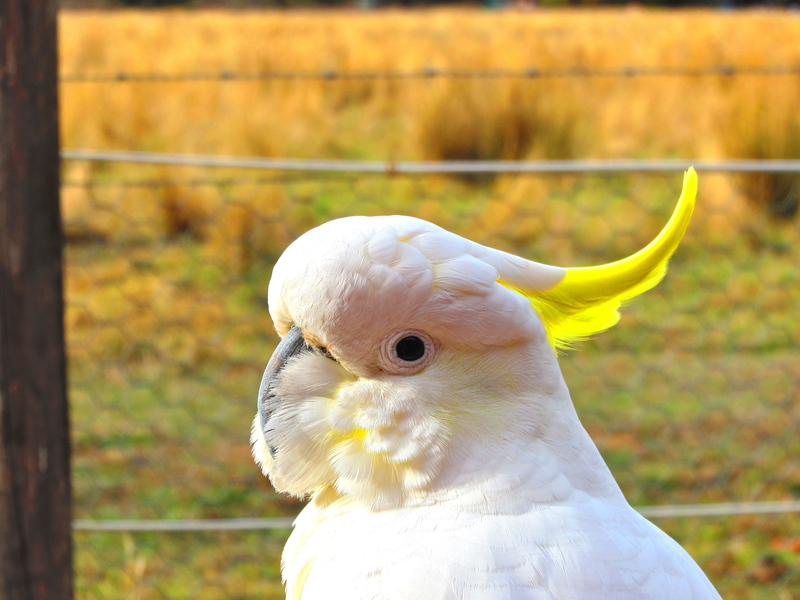 A fantastic spring walk full of bush, wattle and birdlife – smack in the middle of the city. Dogs are fine on this walk, and there is plenty for them to smell along the way, though they must be on lead and keep an eye out for speeding mountain bikers! 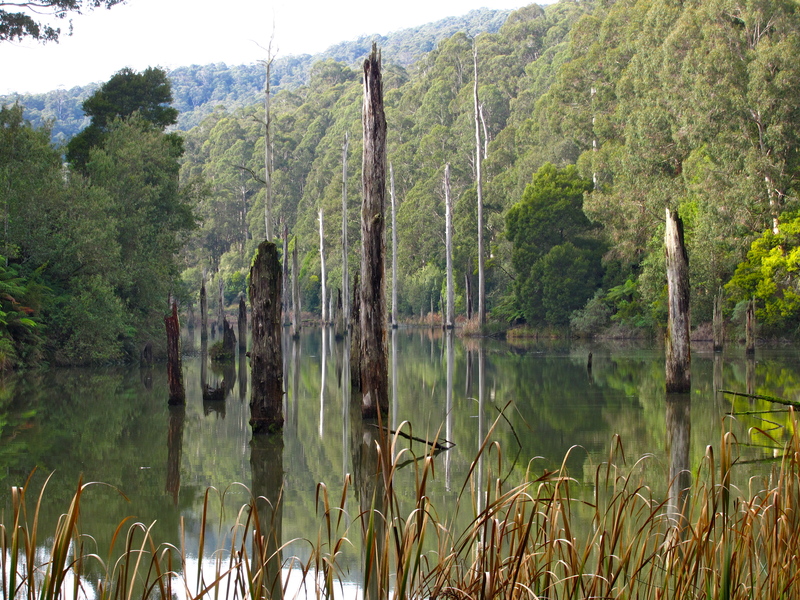 The peaceful waters of Lake Elizabeth in the Otway Ranges. The circuit walk around Lake Elizabeth, just outside of Forrest, is like descending into some forgotten prehistoric forest. Formed in 1952 after a massive landslide dammed the East Barwon River, this newly-formed natural lake was undiscovered until an expeditionary team was sent in to find out why the river had stopped flowing. It is estimated that the lake originally held more than 1000 million litres of water, and those living downstream were understandably a little nervous! The dirt road down to the start of the walk takes you through towering eucalypt forests and then descends into wet tree-fern lined gullies. From the car park, you climb steadily beside the river and then down into the valley that hides this peaceful lake, which is home to shy platypus. The circuit walk takes you along the shoreline, past a small ‘beach’, underneath towering tree ferns and extravagant mosses, across duckboards through the reeds at the northern end and back again, with wonderful views across the pristine lake along the way. Dogs are allowed, as long as they remain on lead, though if you want a chance of spotting a platypus, I’d suggest leaving them at home, and timing your walk for dawn or just before dusk – you can also take guided canoe trips on the lake to get up close and personal with the wildlife. Regardless of the time of day though, and whether you decide to walk or paddle, it’s a very special place. It just goes to show: just because the weather forecast is for hail, squally winds, thunder storms and all day showers, that’s no reason not to get out for a walk. Deb and I decided to brave the elements today for the final 12km day of the 3 day Burchell Trail in the Brisbane Ranges, expecting flash floods and worse, only to be rewarded with sunshine, mild weather and no more than a 30 second shower all day. Mind you, the minute we hopped into the car at the end of the day, the heavens opened up and the hail came raining down. 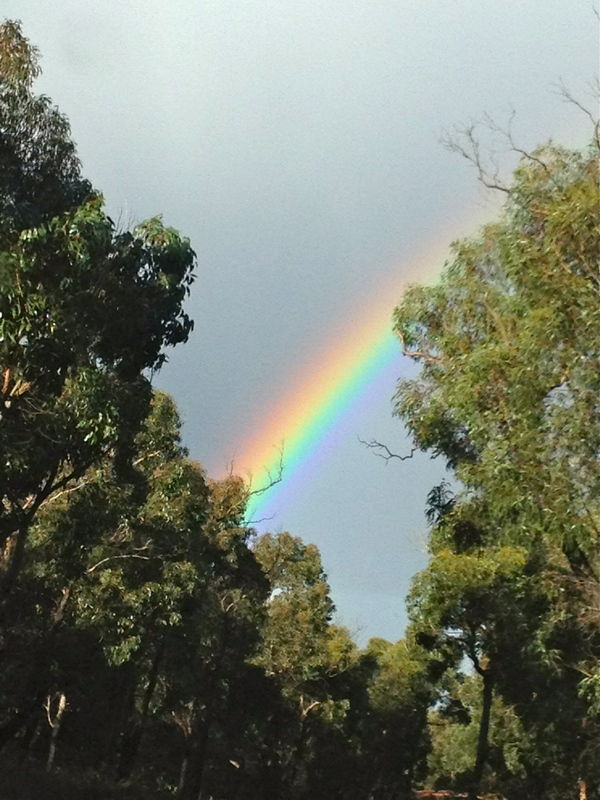 But even after that we were rewarded with this spectacular rainbow. How lucky can you get! Day 3 of the Burchell Trail starts from the peaceful walk-in Old Mill campground, and wanders for almost a full circuit through the southern part of the Brisbane Ranges, near the historic goldmining ghost-town of Steiglitz. There is lots of evidence of the area’s former gold rush days. 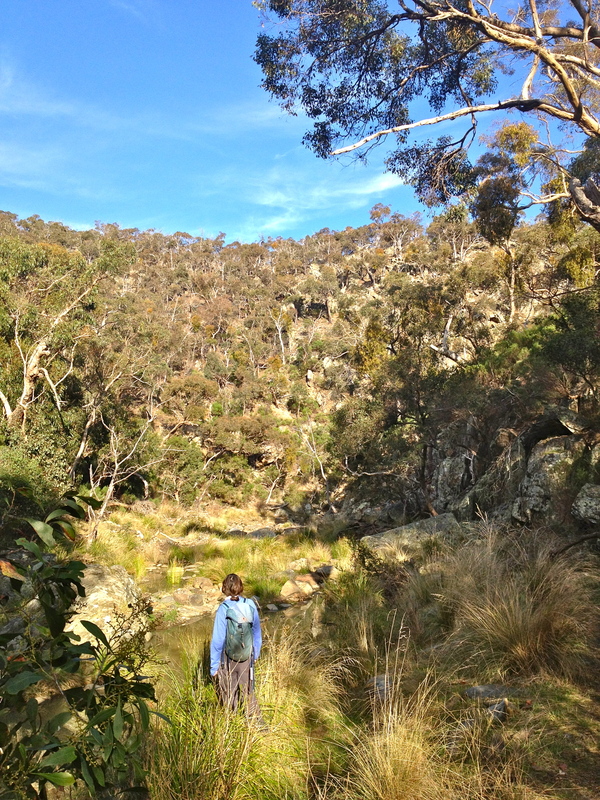 The banks of Yankee Gully, on the second half of the walk, are dotted with old mine shafts and earlier in the day you can detour to take in the very deep pit of the famous Century Mine. There are a number of glorious picnic spots and camp grounds by the creek crossings, and most of the trail is single track, away from management tracks – it was incredibly peaceful. It’s relatively simple to turn this into a one day circular walk, which we did today, by leaving the car at Fridays Camping Ground and walking an extra 1.5km along the road at the start, making for a 13.5km total walk. The Burchell Trail markers are, as always, somewhat random and not at every track junction, so you do need the 1:30,000 Brisbane Ranges National Park (Meridien) map to keep you on the right trail. Don’t let this put you off a fantastic walk though. I can’t wait to come back in spring when all the native orchids are in bloom. I am writing the Burchell Trail up in more detail for the Best Walks of Geelong, the Bellarine and the Brisbane Ranges book, so hope that more people will be able to enjoy this wonderful walk. Fed up with the poor official Burchell Trail markers, walkers have taken direction-setting into their own hands, with the occasional handy hint! 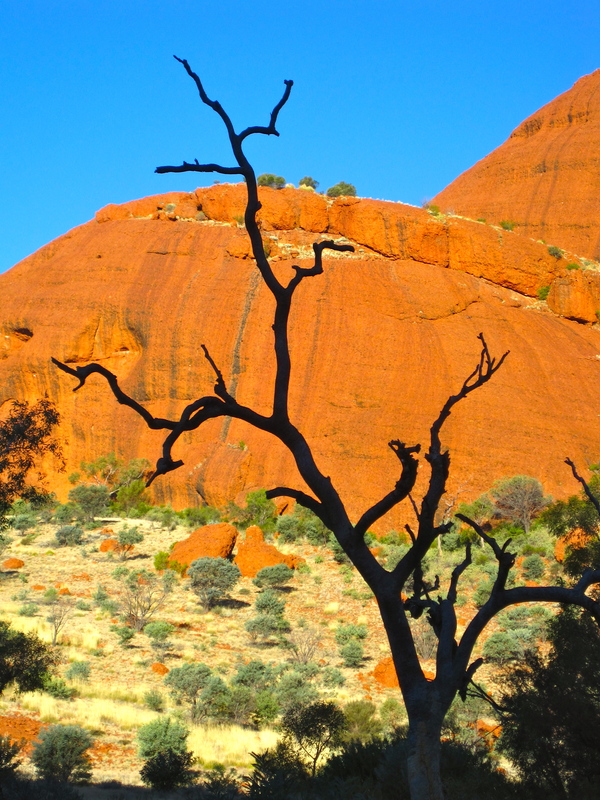 Perhaps the most spectacular walking in the Uluru-Kata Tjuta National Park is at Kata Tjuta – just 90 km from Uluru through spectacular red dune country. 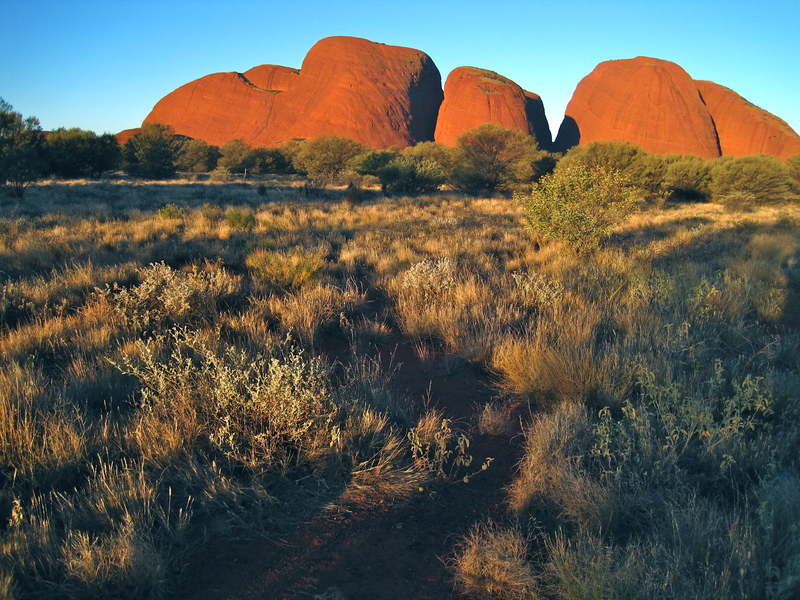 Sitting on the landscape like a group of huddled sisters, it’s no wonder Kata Tjuta translates as ‘Many Heads’. The rock here is very different to the coarse sandstone of Uluru – it’s a munched up conglomerate which once formed part of the sea bed – yes, the land in the centre of Australia was once covered in ocean. The mind boggles! Large boulders are spewed out from the rock at irregular intervals, looking much like glacial moraine spattered over the land. Here there is the opportunity to wander between the towering walls of the impressive Walpa Gorge, to again find permanent waterholes carved into the base of the rock. But perhaps my favourite walk of this whole weekend was the Full Circuit walk which climbs for 8km up and through the aptly named Valley of the Winds, then descends treacherously down through a gap in the rocks to walk out around the dry back country, with huge domes of red on either side of you. In the late afternoon it was nothing short of magical. The walk is closed off at the first lookout point (Karu Lookout) when temperatures are forecast to reach 36C, so winter is the perfect time to pull on your books and head for the Red Centre. Friday was just glorious in Melbourne – once the ice had melted off the windscreen! The rest of the day was crystal blue skies and not a breath of wind: perfect winter walking weather. My erstwhile walking buddy, Deb, volunteered to brave a car shuttle with me so we could do Day 2 of the 3 day Burchell Trail, which runs north to south for 39km through the little-visited Brisbane Ranges, south-west of Melbourne. 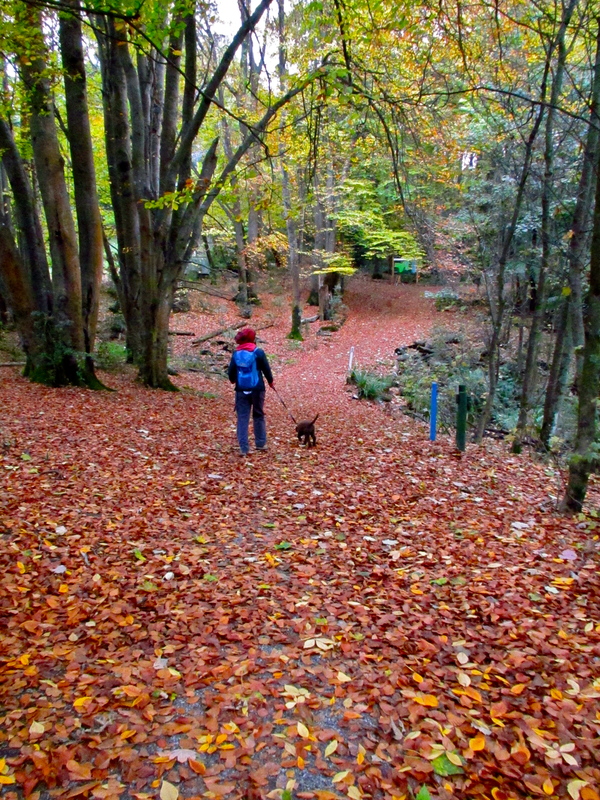 This is a fantastic walk for those wanting to get away from it all – we didn’t see another soul for the entire walk. 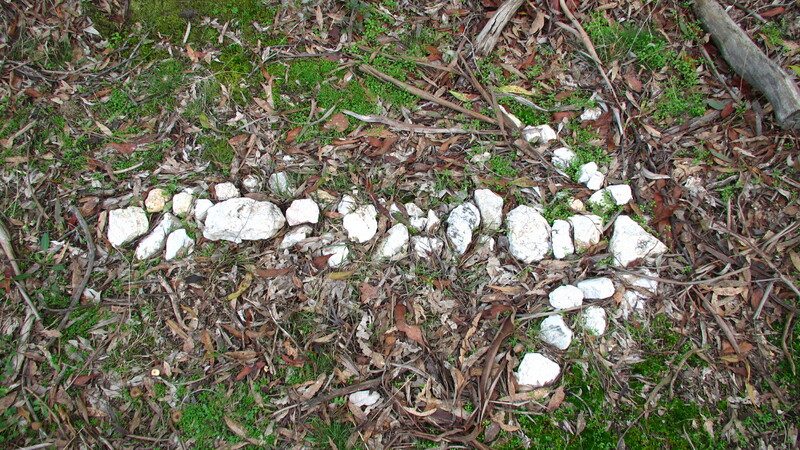 On this section, which runs for 15km from Little River Gorge camping ground to the Old Mill walk-in camping ground, the orange flash trail markers are a little erratic, especially where they have been washed away along Little River in recent flash flooding, so it does require a level of confidence and sound map reading to keep on track. However, the paths themselves are quite clear – a mix of management vehicle tracks and fantastic ridge climbs with big views. The unexpected bonus of the day was Little River Gorge – every bit as spectacular as nearby Anakie Gorge. Really looking forward to going back and walking the other two sections, which I will be writing up for the new Geelong, the Bellarine and Brisbane Ranges book.